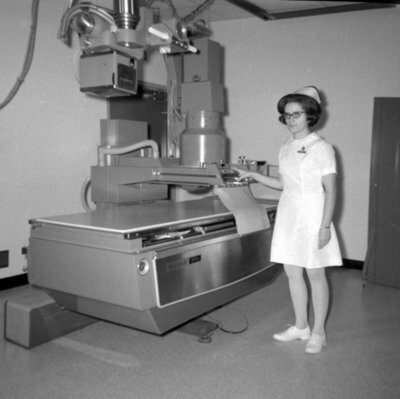 A black and white photograph showing a nurse explaining equipment in a room at the Dr. J.O. Ruddy General Hospital. Tour of Dr. J.O. Ruddy General Hospital, 1969, Brian Winter. Whitby Archives A2013_004_380.